In a New York City apartment, however, where carving bedrooms out of living rooms is the norm, the room is plenty large enough to act as a sleep space. 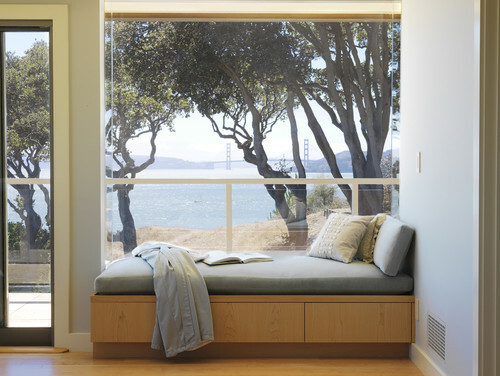 And for us, a modest nook is perfect for the occasional guest quarters. 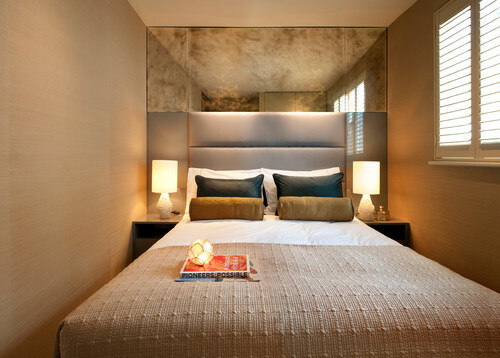 Bedrooms like this are often ignored or passed over as unimportant or insignificant. But I find that these tiny gems remind us of the importance of a well-edited space –– one that is uncluttered, functional, and cozy. 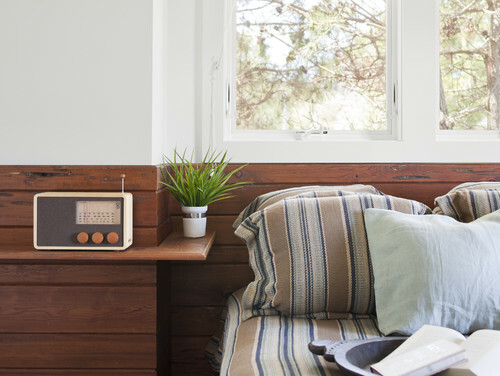 Try adding one or all of these items to make your extra room more enticing for overnight guests. Scents containing lavender, bergamot, marjoram or citrus notes are a lovely way to enhance the room’s mood as well as the person staying in it. 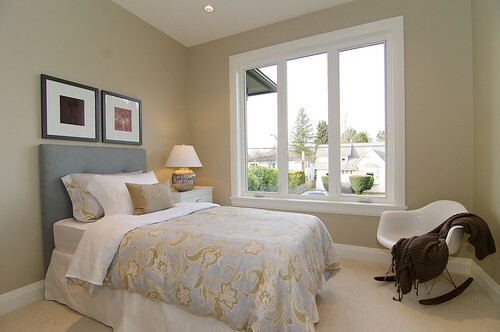 Greenery or fresh flowers add life to any room. 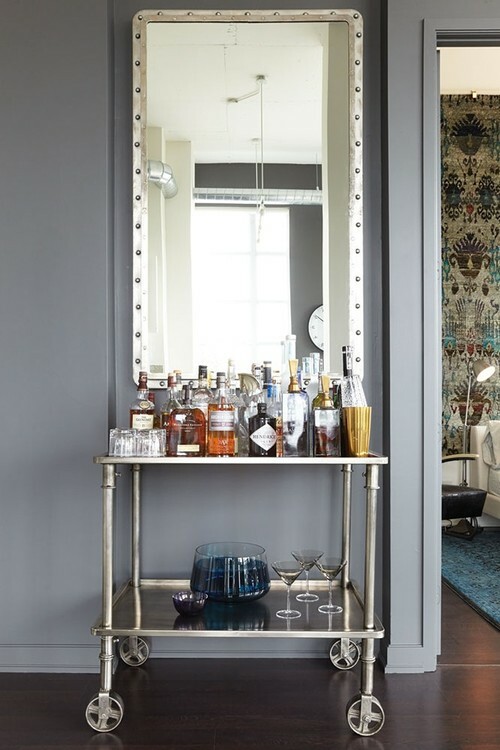 Tailor your selection to the guest. Arrange simple ferns for younger guests, and roses with babies’ breath for grandma. 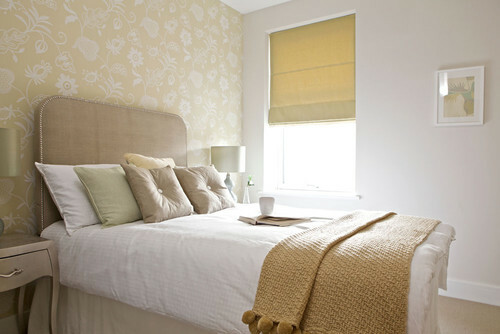 Even a small green plant can breathe life into a simply decorated bedroom. 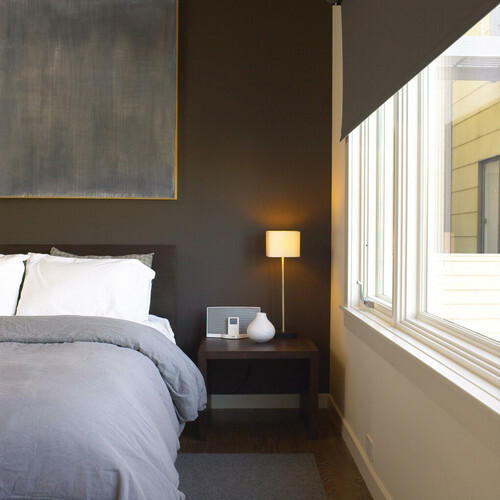 Chilly nights will warrant an extra bed covering, so drape a blanket over a chair arm or stretch one along the foot of the bed. An oscillating table fan nearby can keep a light breeze and circulate stale air, keeping the space temperate for relaxing and sleeping. When I don’t feel tired enough to sleep, reading a few pages or an article or two is often enough to make me drowsy and nod off into a deep slumber. Have a selection of good books and a few magazines for late-night reads or a mid-afternoon escape. My daughter-in-law, Lesley, and her friends requested that I host a Girl’s Night movie screening of the 1987 film Overboard, one of my all-time favorites. Movie night rapidly escalated to include a nautical-themed dinner, replete with a giant sushi boat, napkins folded into little sailboats and personalized life preserver place cards. We made banana boats for our post-movie dessert. Given the late hour and minor excesses, our action-packed evening morphed into a pajama party. In the morning, I persuaded Lesley’s friend Kelsey to make breakfast (Kelsey is terrifically talented and wonderfully creative in the kitchen). She politely agreed, and embarked on a quick tour of my pantry. 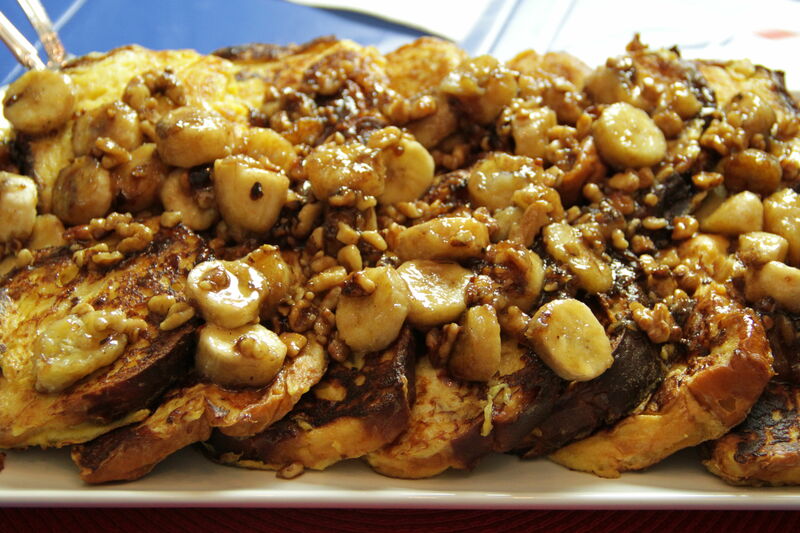 Kelsey pulled a loaf of sweet brioche from my freezer, grabbed a few bananas from the fruit bowl, and began assembling an egg-rich French toast inspired by Ina Garten. When the toast was cooked to a buttery gold, Kelsey placed it in a slow oven to keep warm. 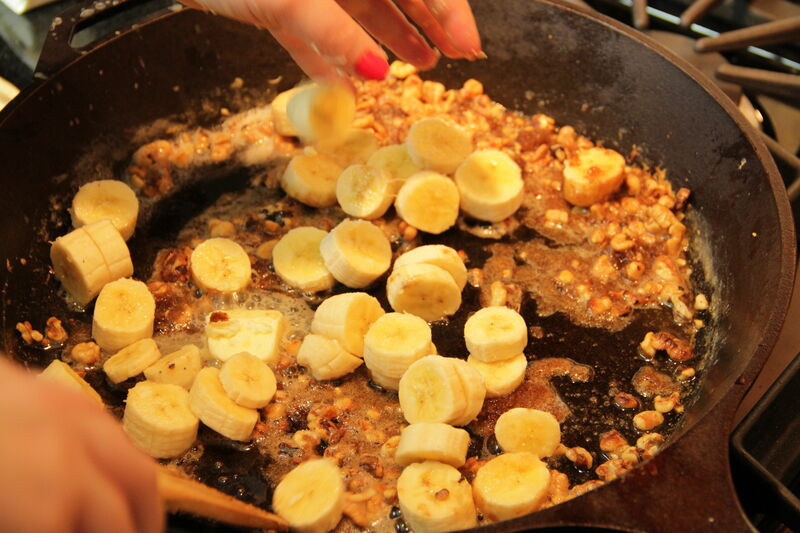 She then used the same pan to toast the walnuts, and simmer a lightly-rummed sauce into a bubbling glaze for the banana topping. Our dessert reprised, Kelsey’s caramelized banana breakfast in bed was a sweet culmination of our Overboard extravaganza. Preheat oven to 250°. Add milk, eggs, vanilla, caramel topping and salt to large bowl. Whisk together until thick and smooth. Melt 2 tablespoons of butter in a large heavy skillet over medium heat. 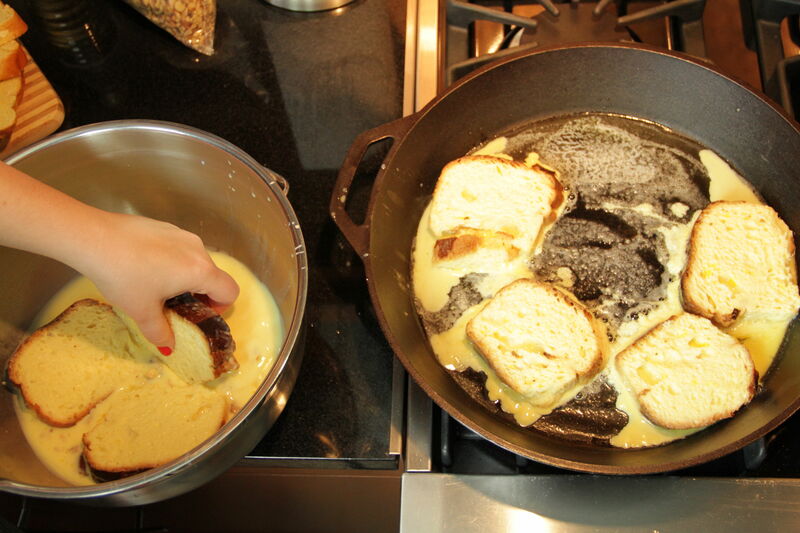 Dip bread slices into the egg mixture, turning gently to completely saturate. Add bread slices to pan and cook over medium to medium-low heat, turning once, until golden and cooked through, about 5 to 7 minutes, adding up to 2 additional tablespoons of butter as needed. 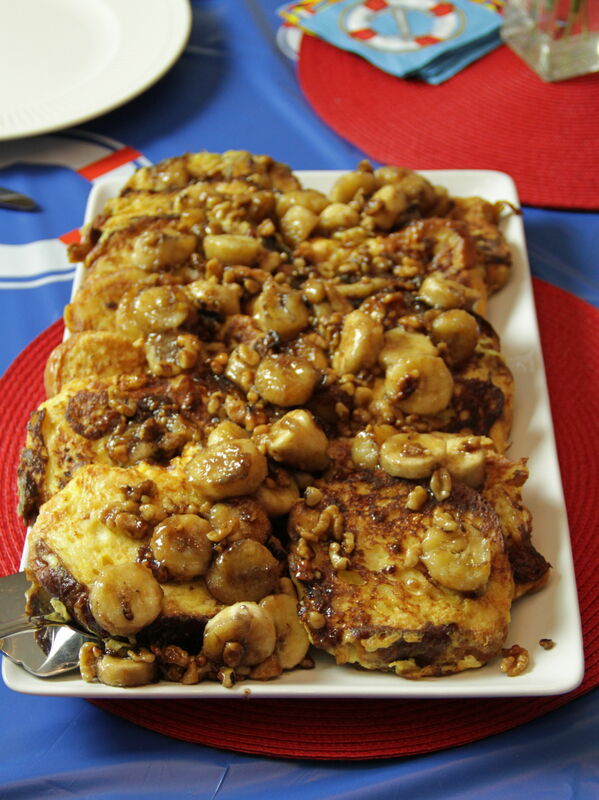 Place French toast on a large flat baking tray and place in oven to lightly firm while making the caramelized banana topping. Carefully wipe out pan, and place over medium heat. Add walnuts to pan, and cook for a few minutes until lightly toasted. Add the remaining 2 tablespoons of butter. When butter is melted, use the back of a wooden spoon to stir in the brown sugar and rum. Add banana slices and continue to cook, stirring often to coat, until fruit is cooked through and topping is lightly browned and bubbly, about 5 minutes. Remove toast from oven and place on large platter. Cover evenly with banana topping and serve immediately. Here in the Pacific Northwest, we tend to crumple at the sight of a snowflake or a frosted window pane. Therefore, I was prepared to stay home when the first icy pellets hit my porch and the call came in that my son’s school was canceled. I still had work to do, but without any actual snow for him to play it, I was pressed to come up with activities to keep him entertained. By two o’clock in the afternoon, we were all feeling stretched so I suggested we find a movie to watch! The moment the cover for Earth to Echo popped up on the screen, he knew that was the movie he wanted to see. He was not disappointed. 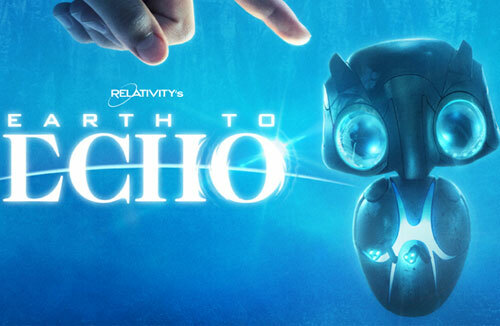 Earth to Echo is part E.T., part Cloverfield, part Goonies. Three adolescent boys are losing their homes to a freeway project. For their last night together, they decide to go on a big adventure. When their phones go all haywire, they realize, eventually, that they are suddenly showing them a map, guiding them to something out in the Nevada desert. Determined to record the whole event, they head out in the darkness on bikes, equipped with Go Pro cameras, spy cameras, smartphones. What they find is just the first piece of a puzzle that will lead them through deserts, danger, and strangers eager to get their hands on the little robotic alien nicknamed “Echo”. 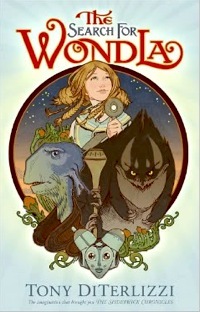 This is a great fun and exciting movie for elementary age kids. Lots of action without any violence, and a satisfying, if bittersweet ending that will leave them pleased.